The request made by Udayanga Weeratunga, former Sri Lanka’s Ambassador to Russia during the retired president Mahinda Rajapaksa’s tenure, through his lawyers asking to withdraw the international warrant against him and remove the ban preventing him from travelling abroad was rejected by Court today (21st). Colombo Fort Magistrate Miss Lanka Jayaratna rejecting the request stated Udayanga Weeratunga should surrender to the police or Courts. 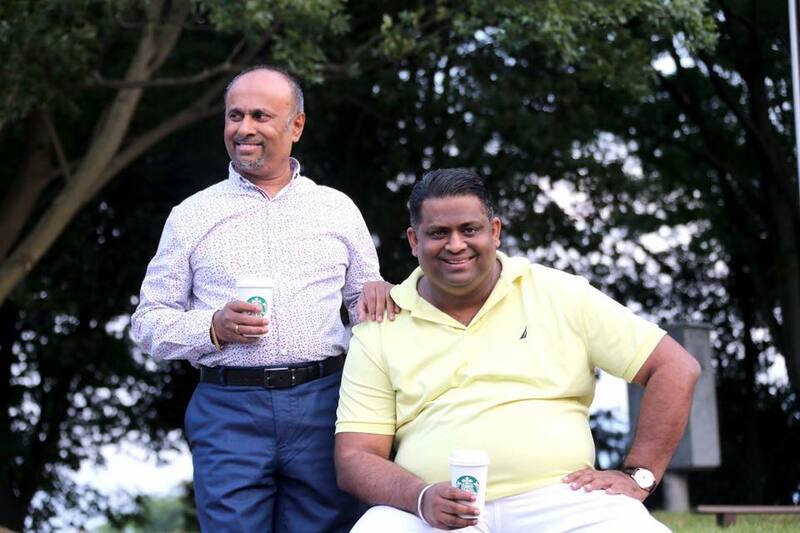 Udayanga Weeratunga is accused of a fraudulent MIG deal and a murder that had been committed abroad. The international warrant to arrest him was issued on 20th October 2016. However, he has not been arrested yet. 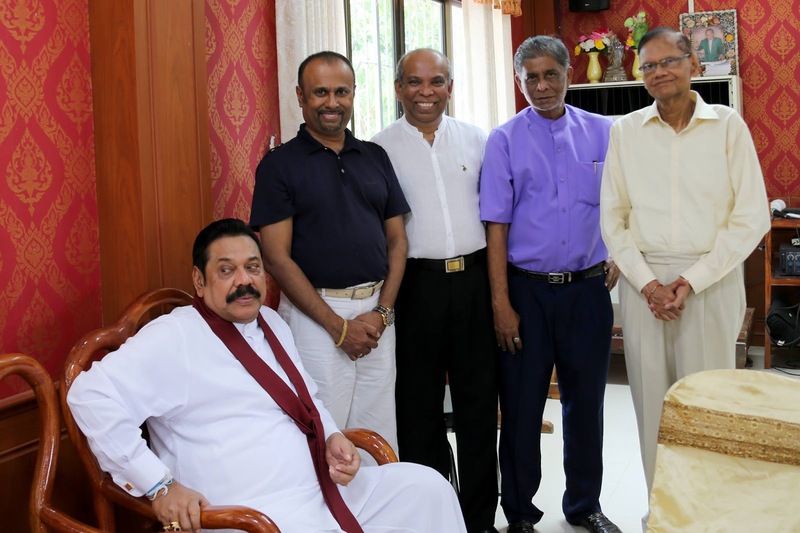 Media revealed that Udayanga Weeratunga was met by the retired president Mahinda Rajapaksa and ministers and Deputy Ministers of the Yahapalana government during this period. Cases against 37 stalwarts of the former Mahinda Rajapaksa administration including that of former Economic Development Minister Basil Rajapaksa, Parliamentarian Namal Rajapaksa, former Secretary to the President Lalith Weeratunga, former Ministers Mahindannada Aluthgamage and Johnston Fernando, former Chief Minister Prasanna Ranatunga and his wife Maureen Ranatunga, former Provincial Minister Udaya Gammanpila and former parliamentarian Tiran Alles will be taken up for hearing soon say government sources. The cases against alleged misappropriation of state funds and properties amounting to billions of rupees will be taken up for hearing in three High Courts within the next few months say these sources. 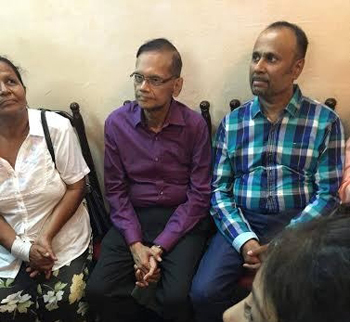 According to Attorney General Jayantha Jayasuriya indictments had been served to all the accused in these cases and trial dates had been already fixed. Cases against Basil Rajapaksa would be taken up in the Colombo and Gampaha High Court on 4th October, 27th October, 8th November and 13th November respectively. He is accused of misappropriation of funds of Divineguma Banks, publishing almanacks using funds from Department of Divineguma Development, Distribution of GI pipes purchased with Divineguma Funds and building a luxurious house using the money earned in an unexplainable manner. Namal Rajapaksa is accused of purchase property including Helicorp company with money not earned in a legally acceptable manner and the case will be heard in the Colombo High Court on 31st August. Two cases have been filed and will be taken up on 15th September and 20th November against former Minister Mahindananda Aluthgamage regarding criminal misappropriation of money and purchase of a house in Colombo 7 as well as engaging in money laundering. Former Minister Johnston Fernando is accused of alleged misappropriation of goods at Sathosa and the case will be heard by the Kurunegala High Court on 25th October. Former Chief Minister of Western Province Prasanna Ranatunge and his wife Maureen Ranatunga have been accused of extorting Rs. 5 million from a person and the case will be heard in Colombo High Court on 23rd September. The case against Leader of Pivithuru Hela Urumaya and former Provincial Council Member Udaya Gammanpila regarding an alleged fraud in business shares worth Australian Dollars 100,000 purchased from Pan Asia Bank will be taken up in the Colombo High Court on 3rd October. 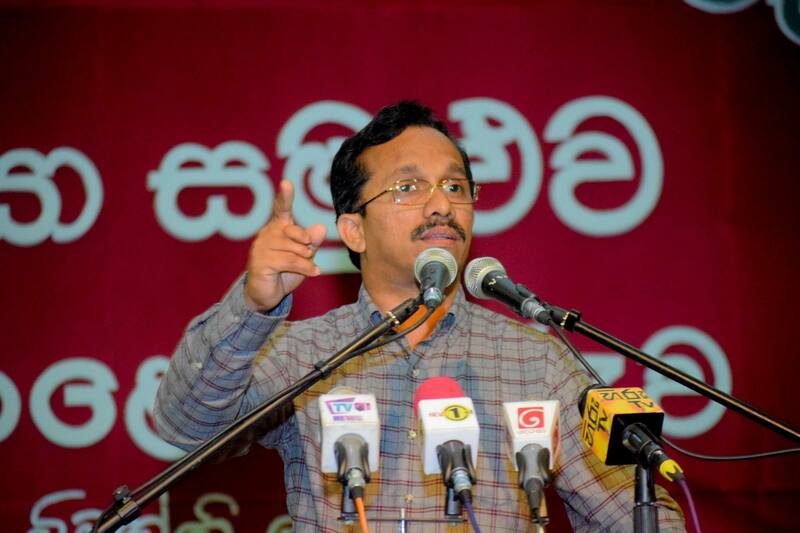 The RADA case against former Parliamentarian Tiran Alles will be taken up in the Colombo High Court on 20th October. The case against former secretary to President Lalith Weeratunga regarding an alleged misappropriation of Rs. 600 million at the Telecommunication Regulatory Commission will be taken up for hearing on 24th August. 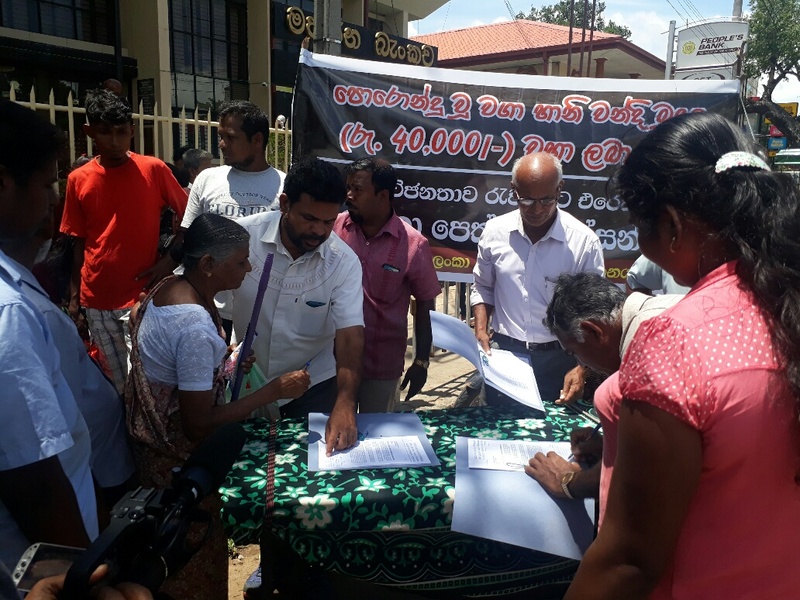 A petition to demand the government to expedite the payment of compensation for farmers whose cultivations were destroyed due to drought was launched from Dambulla yesterday (20th). 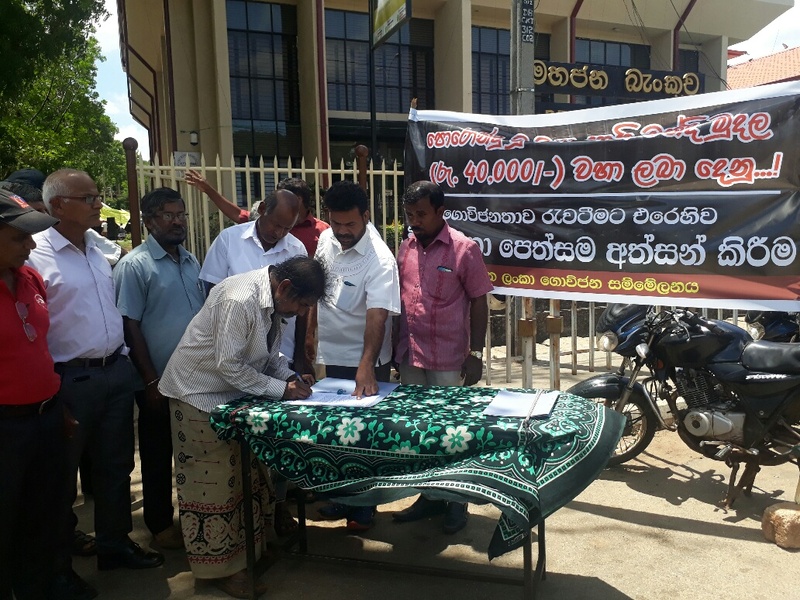 The petition signing campaign was organized by the All Ceylon Farmers’ Federation. The National Organizer of the Federation Namal Karunaratna and its President Susantha Kumara were also present. 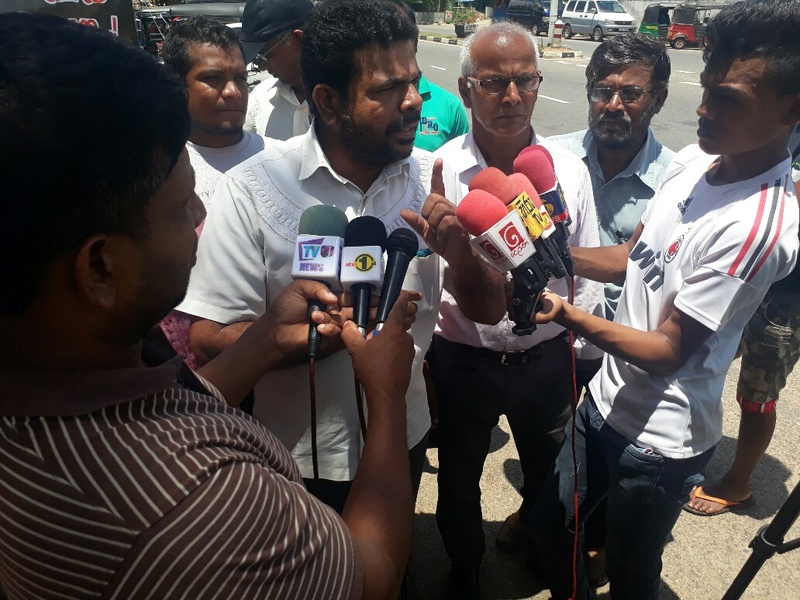 Mr Namal Karunaratna addressing the media at the scene said the government had promised farmers a Rs.40,000 compensation for the destroyed cultivations but all farmers have not been paid the compensation. He said the government is deceiving the farmer community by paying small amounts intermittently. 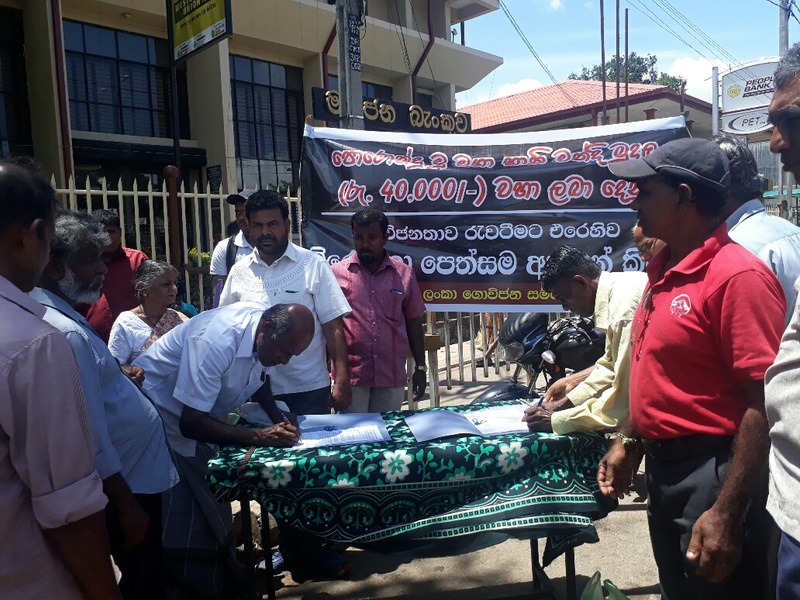 The National Organizer of the Farmers’ Federation said the petition would be taken to all parts of the island and after getting the public to sign it the farmers from all parts of the country would assemble at the Ministry of Agriculture to express their frustration and demand the compensation that has been promised to them. He said the struggle would continue until all farmers whose cultivations were destroyed are paid the compensation. Speaking further Mr Karunaratna said former Mahinda Rajapaksa regime never listened to the farmers and never paid compensation. He said the present Ranil – Maithri administration promised compensation but paid only a small amount to deceive the farmer community. 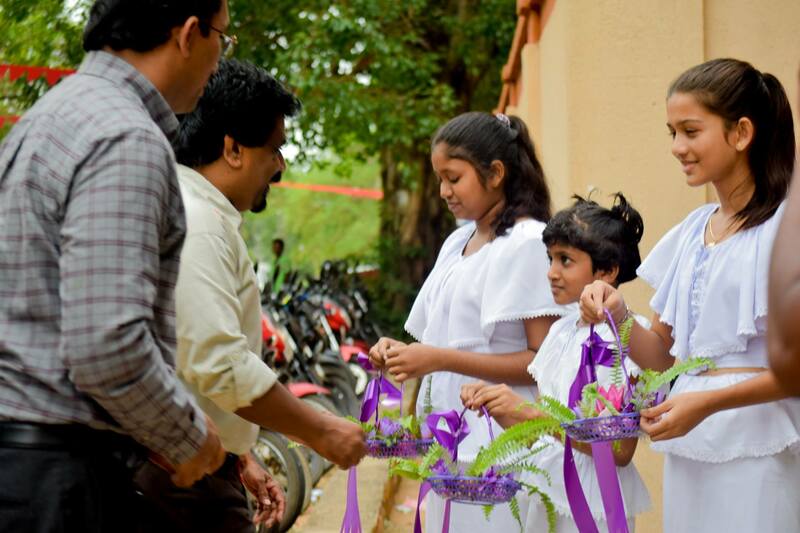 “All members of the UNP and the SLFP and of other political parties cast their votes with lots of hopes. However, the hopes of the leaders and the members of a political party do not tally. This is the issue. The hopes and inspirations of members are not fulfilled by the leaders. 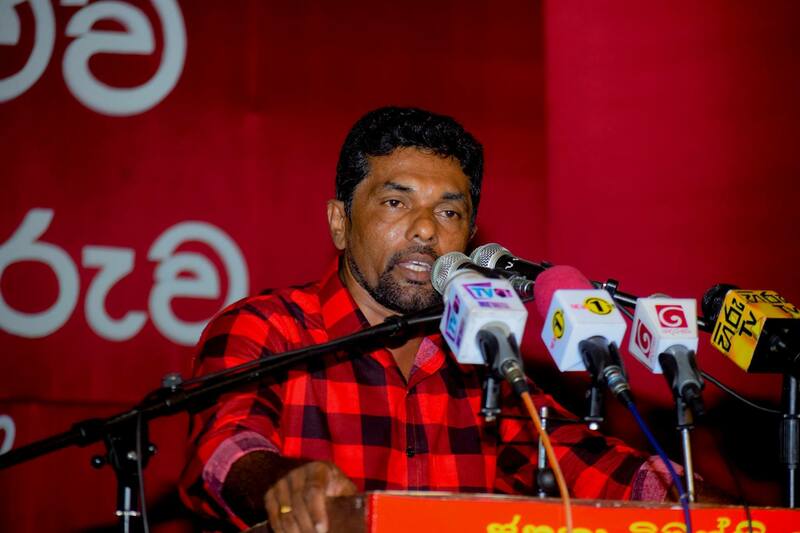 It is the JVP that could fulfil the hopes of the members of the SLFP that of the UNP and all others,” says the Leader of the JVP Anura Dissanayaka. 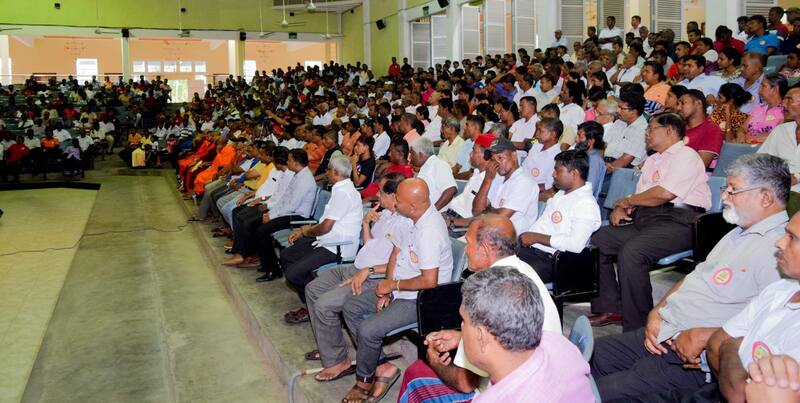 He said this addressing the ‘Dhiriya Purawesi’ summit held at Polonnaruwa yesterday (20th) held as part of the series of summits being held by the JVP throughout the island under the theme ‘“Gamata Diriyak – Ratata Balayak” (Boost for the Village & Power for the Country). There is a group that shouts ‘nation’s mother’ when Ms Shiranthi Rajapaksa, the wife of the retired president, is summoned to the CID and when this group shouts ‘nation’s mother’ to her when summoned to record a statement in connection with the murder of popular rugby player Wasim Thajudeen, what would be the thoughts of Thajudeen’s mother would be asked Mr. Dissanayaka. 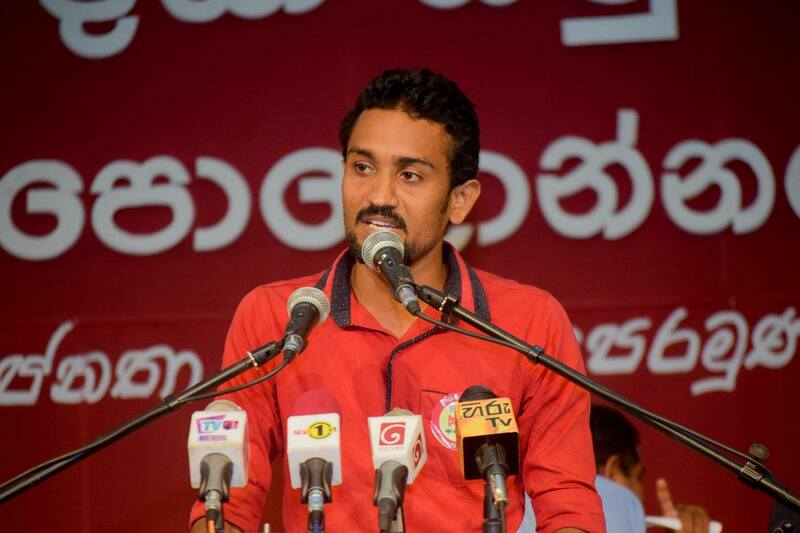 The Leader of the JVP said Mr Ravi Karunanayaka resigned from the ministerial portfolio only after he was cornered after a theft was exposed but there is a group of people who kiss his hand. 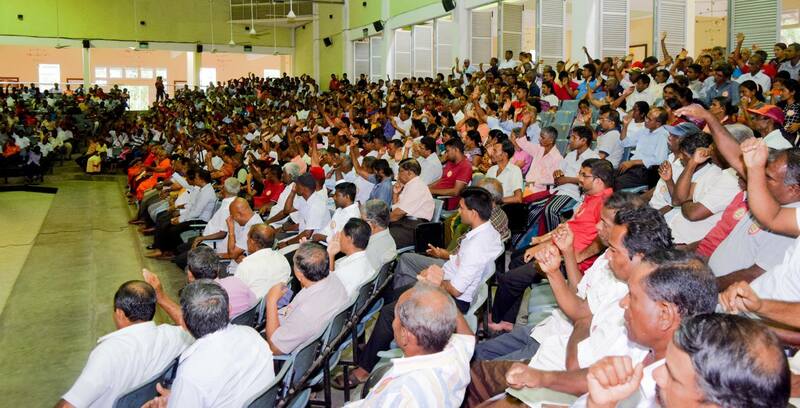 Mr Dissanayaka said people should shun such idiotic behaviour. 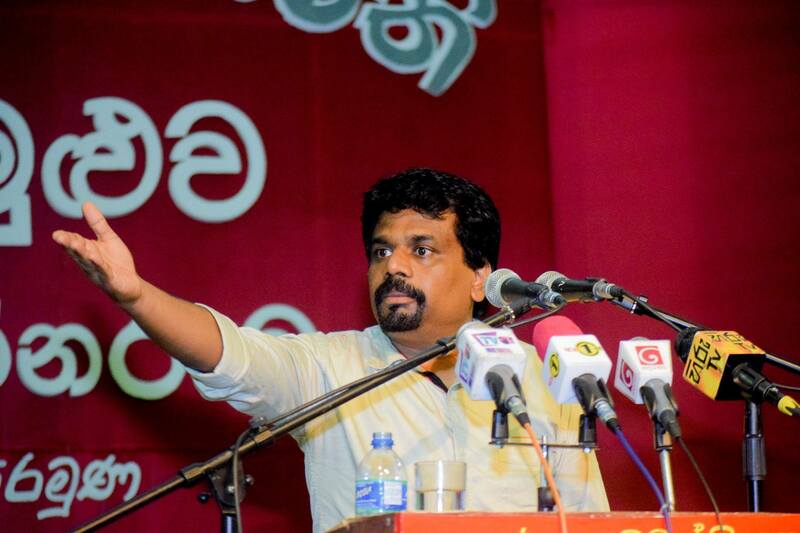 The JVP Leader said the time has come for the people to clean up their minds and rally to pave the way for a change in the country.